Loyal Shops | Digital Punching Cards | Auto Punching is HERE! 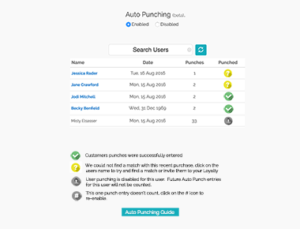 Auto Punching of our Loyalty Cards is now available for our Pro Subscribers. This works for both Pop-Ups as well as online sales like Facebook & Periscope. Shortly after your customer pays, your customers Loyalty Cards are automatically punched. Everyone wins and it’s a real time saver! Your customer is thrilled because they can quickly see how much closer they are to earning a free item with YOU! Send us an email at support@loyalshops.com if you an an issue.